The U.S. airstrike operation that was carried out on the first day of September successfully targeted Ahmed Godane, the leader of al-Shabaab in Somalia. 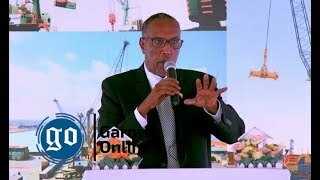 The result of this operation has been welcomed by Somali leaders and the activists in social media as a progress that is made toward the “eradication” of Somalia’s extremist group. The news of the demise of Godane came only on Friday, September 5 when the Pentagon’s press secretary, Rear Adm. John Kirby, confirmed the death in a brief written statement. In addition, President Barack Obama, speaking at the conclusion of a NATO summit in Newport, Wales, said the successful U.S. strike was an example of his administration’s determination to hit back at terrorists. Likewise, a press statement released by the White House stated that Godane’s removal is a major symbolic and operational loss to the largest al-Qaida affiliate in Africa and reflects years of painstaking work by our intelligence, military and law enforcement professionals. On the other hand, the Facebook Page of Villa Somalia stated that US forces conducted the airstrike with the full knowledge and agreement of the Federal Government of Somalia (FGS). This, the statement continued, is an international battle against the scourge of terrorism and the government and the people of Somalia greatly value the support of our international allies whether it is direct intervention such as on this occasion or longer term capacity building through the training and equipping our reconstituting Somali security forces. 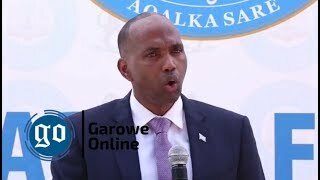 Moreover, the Somali government thanked the US government and individuals in the Somali security forces that helped the operation. The fact that I need to underline here is that getting rid of the most senior leader of al-Shabaab is a welcoming development for Somalia and the region as well as the international community. However, the hard question is whether the demise of Ahmed Godane is an indication of the end of the game. The death of Godane will not be the end of the game for al-Shabaab in Somalia. Under the leadership of Godane, though weakened, al-Shabaab had been active waging their guerrilla urban warfare for the last three years since they were “ousted” from Mogadishu. They successfully attacked Villa Somalia twice; the Parliament and the UN compound in Mogadishu in addition to other suicide bombings and planed assassinations. This has been the case and will be the case, because al-Shabaab is a group that is based on ideology, not individuals. The group will continue targeting the young Somalis who are susceptible to the calls of extremism from inside and the diaspora. Those brainwashed young Somalis will keep carrying out the activities that the group has been using to dismantle the progress made so far for state-building and governance. If Godane is gone, another successor will come and continue the work. 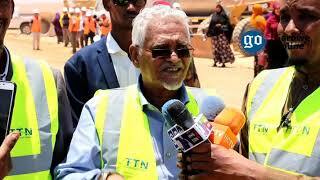 In fact, the group selected the successor of Godane on Saturday, September 06, 2014. As reported by AP, the successor’s name is Abu Ubeid Ahmed Omar. The question would be how the successor will be different from Godane’s ruthless leadership. The only difference that might be expected to happen is how the group is willing to lay down its arms, and negotiate for political participation. I am not expecting this will be carried out by the newly selected senior leadership of the group, but the junior level leaders can take this route. 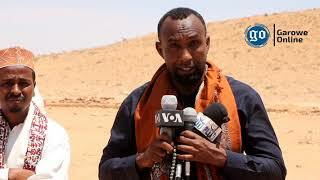 Col. Hassan Dahir Aweys, the former leader of Hizb al Islam, has defected from the group after clashes with Godane on the way the group operates. It is an open question whether Col. Aweys, who is now under the “custody” of the Somali government, totally rejects the use of violence to gain power. Moreover, Mohamed Said (Atom), who used to fight in the Galagala area in northeast Somalia, has recently surrendered himself to the Somali government. There are four main alternative actions that need to take place. First, as al-Shabaab is driven by an ideology found from misinterpreted and twisted quotes of the Islamic teachings, it is the job of Somali religious scholars to prove the group wrong. The phenomenon of religious extremism and the culture of suicide are new to the Somali people. 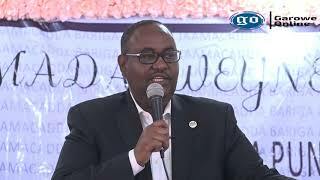 The religious scholars inside and the diaspora need to collaborate effectively to uprooting this new phenomenon, and to gain the hearts and the minds of the young Somalis who may have passion for their faith, but somehow manipulated by those with sinister agendas. The second alternative is to pinpoint where the financial and military support of the group come from. The financial and military support that the group receives is the only lifeline that helps them to continue their operation in Somalia and the region. The group is equipped with machine guns and ammunition, and the investigation that needs to be carried out is to clearly identify who are the suppliers. This is a mission that needs to be tackled by the Somali government, AMISOM forces and the international community. As long as the group is funded financially and supported militarily, they will continue their operation in and outside of Somalia. The third alternative action that needs to take place is creating opportunities for the young Somalis who are trapped by the misguided interpretation of Islam. Whether it is the piracy [though it has greatly diminished] off the coast of Somalia or the extremism, the young Somalis who engage these activities have failed to see any other alternatives for their future. For the last two decades, the young generation who was born in 1990s has only seen violence whether it is by the warlords or religious extremists. The private education systems that started after the fall of the last government in 1991, though they filled the vacuum, were only for those who could have afforded to pay the fees. As a result, many families who remained inside the country could not afford to send their children to school. Therefore, four options were left for the children of those families: one, fight for the warlords; two, join the pirates; three, be recruited by the extremists; and four, be a victim for smugglers and die in the deep ocean or survive to end up somewhere else as a refugee. In order to confront extremism, the young Somalis must be given free education and other life skills so that they can see a bright future for themselves. The fourth alternative action is that combating against al-Shabaab and the overall security of Somalia must be owned by Somalis. Using unmanned vehicles from time to time will not completely solve the threat of al-Shabaab to Somalia and the horn of African region. 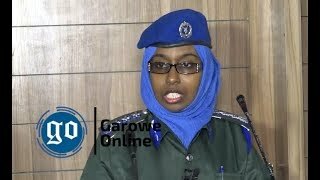 The Somali security forces must be nationalized, and equipped with necessary knowledge of security and the power machines that they need to employ for the war against al-Shabaab. The demise of al-Shabaab leader will greatly diminish the spirit of the group, but it doesn’t mean the ideology that thrusts the group will vanish easily. The Somali religious scholars need to double their efforts against extremism, and opportunities for education and employment must be created for the young exploited Somalis.